Have you ever housed the thoughts of having your Google hosted blogger blog deleted by Google? It is so painful. Few of my friends had similar experience and i must say, this is was not a pleasant experience to them. This is why wordpress simply gives you that advanced opportunity to be certain about the existence of your blog. Now imagine after you might have struggled for years to build a blog and you got up one morning just to check out your site over the internet and saw a message like “ Oops! The blog you are searching for is unavailable.” This kind of message can be so frustrating. Moving into the most frustrating part of it, is when you log into your dashboard and discovered that all the posts, the researches, the comments and all products associated to your blog lot has been deleted by google bot. This particular area can make one go crazy. I believe you would want to get your blog back. But have you asked yourself questions like “Why was my blog deleted”? “did I do anything wrong”? which of Google's policy did I violate”? A good thinker would try to figure out this little things by asking relevant questions instead of castigating Google for screwing the hell out of there site. Before I would give you some hint on how you can actually restore back your deleted blog, I would want you to take a few glimpse of why your blog was deleted so you can take cognizance of these points when next you get your blog back online. If there is one thing Google frowns at, this is the attitude of breaking there rules. In as much as Google wants virtually everyone to enjoy and use there products, they also want you to simply obey all stipulated rules governing that particular product. Before setting up your blog on Google hosted blogger, there were some rules given to you to read. It is so sad that a lot of persons (Including myself) find it difficult to read these rules due to its length. It is advisable to read the terms and services governing any of Google products before embarking on its usage. Though this is also shoveled under violation of Google's TOS; I had to pick out this particular point just to put up a very valid point. If you are the type that has an increasing ration of spam activity on your blog or its url, there is every tendency that might hit you the sledge hammer. Google hates spam blog and that is why the creation of a spam bot to delete any violating blog was brought into existence. With the few researches carried out, and with some experience gained from some friends who have had similar issues, this is how you can get Google to restore your deleted blog back online. This particular method has worked for quite a huge number of persons. Instead of grumbling or relenting, why not raise a topic on bloggers forum stating how, when , the URL of the site that was deleted and why it was deleted in there forum. Some Google officials normally preview the topics posted on there forum and with your complaints made, you got a chance to be heard by them. To create a post on Google simply go to the official Google bloggers forum to lay a complaint about it. You are not expected to make several topics just for one complaint. A single topic created is enough. All you have to do is exercise a little patient why the Google team review your appeal and reinstate your blog. Since you have attempted the first step, this is the time to officially tell Google .Login to your blogger dashboard. You should see an option like “Deleted Blog” at the middles left hand corner on your screen, click on it. A window launches; simply go to the button having the “Undelete” option and click to undo the actions. Yea. I certainly can not give you the space of time or how long it could take Google to restore your deleted blog. 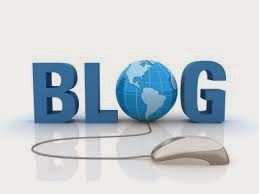 Why some blogs are restored almost immediately, some take a couple of weeks and some fall into months. If your blog was deleted as a result of some kind of mistake by the Google bots, then you should be getting your blog back online in few days time.